Dan Kurtzer told Israel Radio that it was unrealistic to expect a full Israeli withdrawal from the West Bank in any final status agreement. 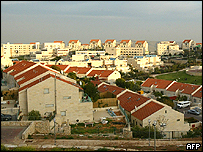 "We urge the United States to have Israel stop settlement activity," senior Palestinian negotiator Saeb Erakat said. Israel has occupied Gaza and the West Bank, including east Jerusalem, since 1967.